At Abbeycroft Vets we offer a range of nurse clinics to keep your pet in tip top condition. The nurses at Abbeycroft Vet Surgery are an integral part of the team. Many people are unaware of what a vet nurse does, as they spend much of their time behind the scenes. But did you know that nurses can be anything from dentists, midwives, radiographers, anaesthetists, phlebotomists to bereavement counsellors, first aiders, lab technicians and much, much more. One very important role our nurses adopt is offering nurse clinics for your pet. Our nurses have a wealth of information and advice about animal health and well-being, so we want you to benefit. Call us now on 01606 40332 to book. Puppy Growth Assessment – welcoming a new puppy to your family can be an exciting time, but also an overwhelming one. Often on your first trip to the vet, as well as receiving our fabulous puppy pack, there will be a lot of information to digest. We, therefore, invite you back for monthly appointments with our nurse to cover important aspects of puppy care including, socialisation, preventative health care and neutering. We will also weigh your puppy on a monthly basis to monitor their growth and give advice about nutrition and how to maintain the ideal weight for your puppy as they progress into adulthood. Kitten Growth Assessment – kittens are little bundles of joy and whilst our vet will cover the important basics in your first appointment – a playful kitten can sometimes steal the show. Our nurses can offer regular clinics whilst your kitten is still young to discuss important issues such as behaviour, neutering and preventative flea and worm treatment. Our nurses will also weight your kitten at each clinic to monitor their growth and advise on a healthy diet for your kitten as they venture into adulthood. Bringing your kitten into the practice regularly is also a great way to get them more comfortable with a trip to the vets. Rabbit Clinics – at Abbeycroft Vets we have a dedicated Rabbit nurse with a wealth of knowledge and experience about all things bunny related. Unfortunately, rabbits have been mislabelled as an ‘easy’ starter pet, especially for children. This is not the case. Rabbits require dedication and an understanding of important health issues such as diet and preventative health care. 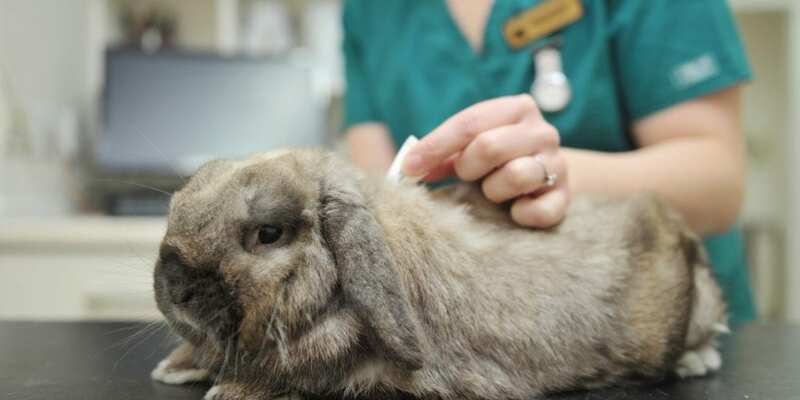 Our Rabbit Clinics are the ideal way to help you to keep your bunny healthy and happy. Routine Nurse Clinics – we offer a number of nurse clinics, covering important aspects of pet health care including dental advice, parasite protection and nail trims.